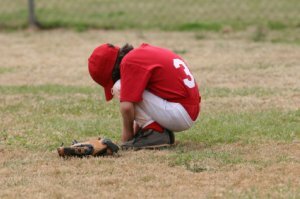 Are You a T Ball Coach, but Don’t Know Where to Begin? What if there was a handy guide that would walk you thru every coaching step? Are you ready for that first phone call to parents? Oh my gosh I wasn't. My first call to a parent lasted 45 minutes and produced a list of questions that I had no idea about. Needless to say I didn't make anymore calls that night. And wouldn’t it be great if you felt like you knew what to expect at your first practice? Oh my gosh, what happens at t ball practices? Again, I was caught off guard big time. Everybody thought I was the t ball expert, except me. I needed to get up to speed quick. But how? You are in luck. The only guide you will ever need is right here and I promise it will help you understand everything you need to know. After years of coaching my own sons in t ball, and now helping and cheering on my grandsons, I have put together a helpful coaching guide that walks you thru the whole t ball coaching experience. From the first coaches’ meeting all the way to the season ending banquet, you are told what to expect and what to plan for. Other T Ball manuals only tell about drills to use at T Ball practice. They give you a brief description of the drill and then you are on your own. Our eBook offers plenty of T Ball drills, and with complete instructions, and these are only 3 out of our 12 Chapters. #1 You will be prepared for those first contact phone calls. I guarantee you yours won't last 45 minutes like mine did. #2 Your practices and games will run smoothly because you will know how to recruit good assistance coaches. #3 Your administrative time will be reduced substantially by the other assistant we teach you to recruit. #4 The last thing you want is for any child to get hurt. We make you aware of the safety issues involving t ball. #5 From the tips we provide you will be at the top of the list in landing that ideal practice field. And this is just a sample of the information provided by this eBook. This 30+ page eBook is loaded with all the information you will need to have an enjoyable T Ball season. We walk you thru team photos, after game snacks and tips on team uniforms. Bonus #1: A complete listing of the baseball equipment you will need and where to get it for free or very cheap. Bonus#2: The pros and cons of recruiting friends to your team. It’s not always the best idea to recruit every child in the neighborhood. Yes, within one year of your purchase, if for any reason you are not happy with our eBook, just notify us and we will refund your full payment. No questions asked. Could you make it thru the whole season without this eBook? Sure. But for such a low price, why would you pass on such helpful information? My first year of t ball coaching was my hardest. Instead of spending time coaching my son and the team, I was answering the same questions twelve different times. It is really easy to tell when a young child is bored. They let you know right away, and my practices were boring. Don’t repeat the same mistakes I made my first year. Read this helpful guide and go out and enjoy your practices and games. **PLEASE NOTE: The T Ball eBooks ordered from this web site will come to you as an electronic downloadable book. The only way you can get this eBook is to download it on your computer. This T Ball eBook is not available in hard copy, and cannot be mailed to a physical postal address. This eBook is easy to purchase and download. Your order will be placed through E-Junkie, a secure authorized billing agent that works in conjunction with PayPal. Once your T Ball eBook is downloaded to Adobe Reader, click on "File" (on Adobe Reader), then click on "Save a Copy" to save your eBook to your computer.